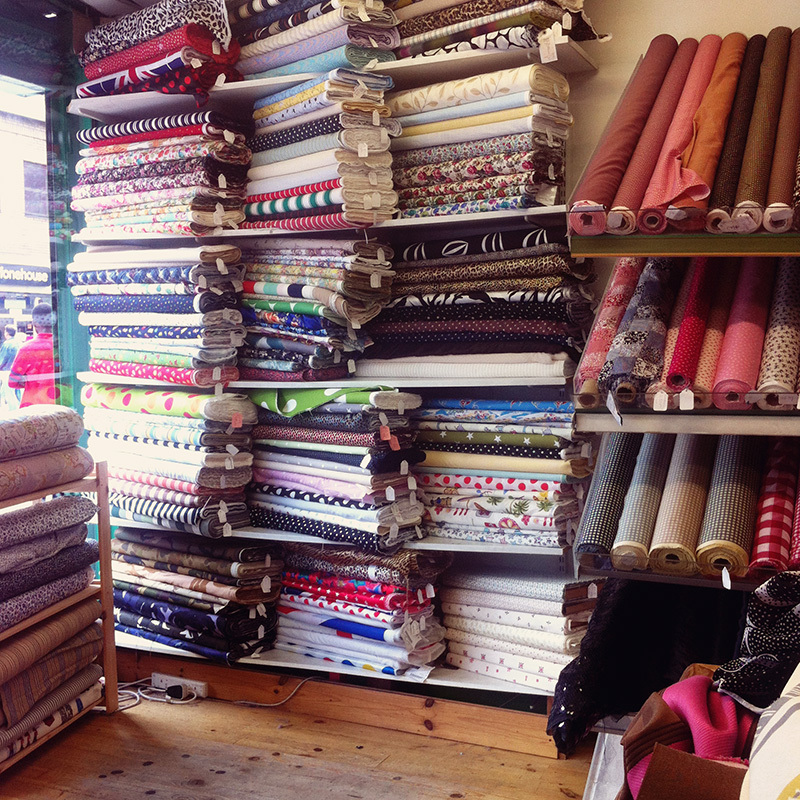 Huge thanks go to Emilie for introducing me to this awesome fabric shop in my North London neck of the woods. Rolls and Rems, located at the Holloway end of Seven Sisters Road, may not look like much from the outside but it’s a real little treasure trove inside. Along the left wall are loads of cotton prints and solids, including some voiles and sateens ideal for dressmaking. By the till in the middle is an expansive range of zips, buttons, bias bindings, threads and accessories. 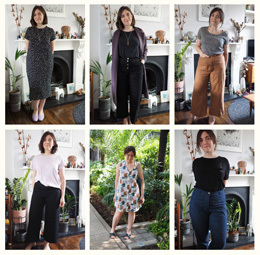 Persevere to the back for the jersey section: there’s every solid colour you could want plus some cute stripe and polkadot prints, and even a good range of ponte and sweatshirt knits. The prices are fabulous: most tags I glanced at across the store were in the £6/m region and zips start at just 40p. So what did I come away with? I’m a little ashamed to say it was all from the remnants bin but I’m delighted with my finds. Firstly a small piece of printed viscose which for 50p I couldn’t resist. I think there’s enough for a little tee/blouse. 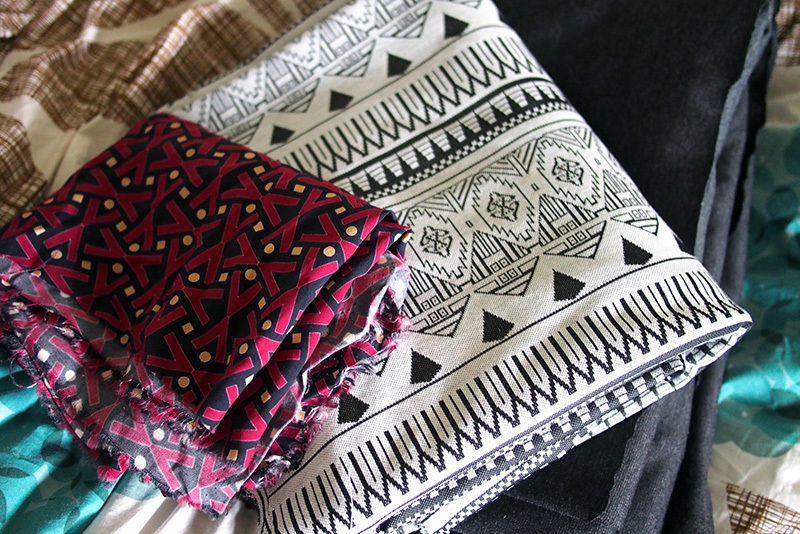 In the middle, a fabulous Aztec-style heavy jacquard knit: three metres for £4.99. 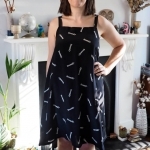 The print reminds me of a favourite Topshop dress and I think it will make a great autumnal frock, possibly an Elisalex. Finally a massive piece of dark grey-marl ponte knit very similar – if not the same – as the one I made my Victoria from. This five metre piece was priced at just £7.99 – I paid £10.99/m for my first lot! I have grand jacket-shaped plans for this stuff. I also grabbed some zips and thread, the grand total coming to just 15 quid. 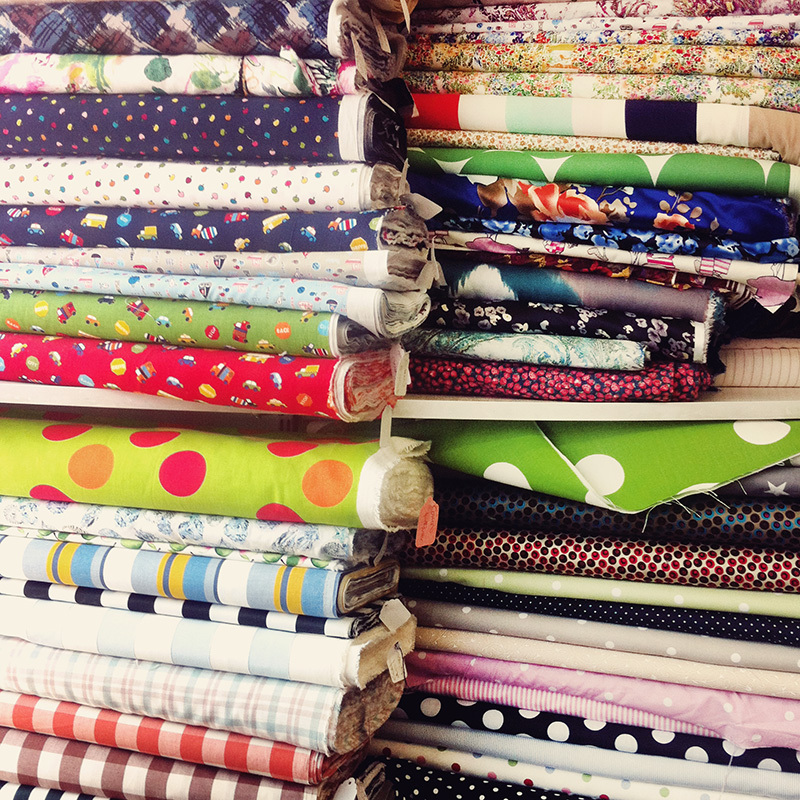 Rolls and Rems will definitely become my go-to fabric shop now before hitting the Internet! Visit their website here (opening hours can be found here) and find the shop at 21 Seven Sisters Road. Take your rummaging elbows and strong arms to haul your loot home. They have a branch in Lewisham, SE London too – when I was a child I used to want to work there! 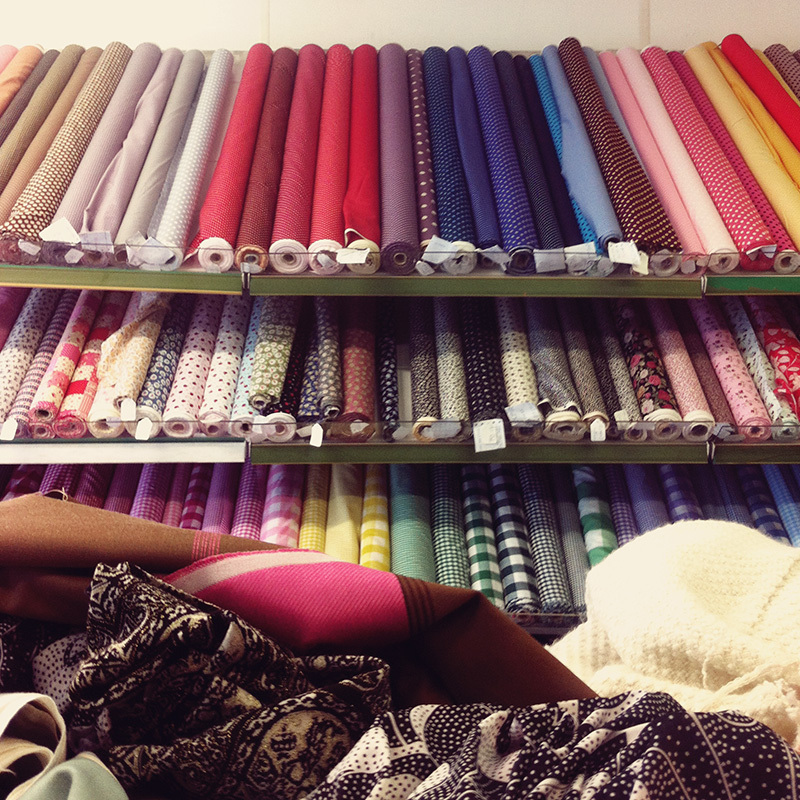 Could spend hours surrounded by all the fabrics. 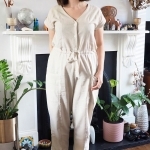 I don’t sew or craft much but it’s still a ridiculously useful place to know about for all those little things everyone needs now and then – replacing lost buttons etc. Even tablecloths! I love that Aztec Jacquard you bought, beautiful! Do you have any vintage lace?